European markets are taking a beating from all sides. First Russia, then recession, now Ebola. Monday's news that a medical worker had contracted Ebola in Spain sent European travel stocks into a deep dive. Shares in IAG -- which owns British Airways and Spanish carrier Iberia -- and cruise ship operator Carnival (CUK) have dropped by about 8.5% over the last two days. Spain is a major holiday destination for travelers from Northern Europe. Investors are worried that tourists may opt to stay home if Ebola spreads in Europe. The threat of travel restrictions and screenings is also causing concern. "If there is a loss of confidence in the safety of being in Spain, then that will be a big issue," said Douglas McNeill, investment director at Charles Stanley Direct. The Spanish nursing assistant became ill after caring for a missionary infected in West Africa. The missionary died after being brought to the hospital where she worked. U.S. travel stocks fell this month when it emerged that a man infected with Ebola had flown on a commercial flight to the U.S. from Africa, bypassing screening. 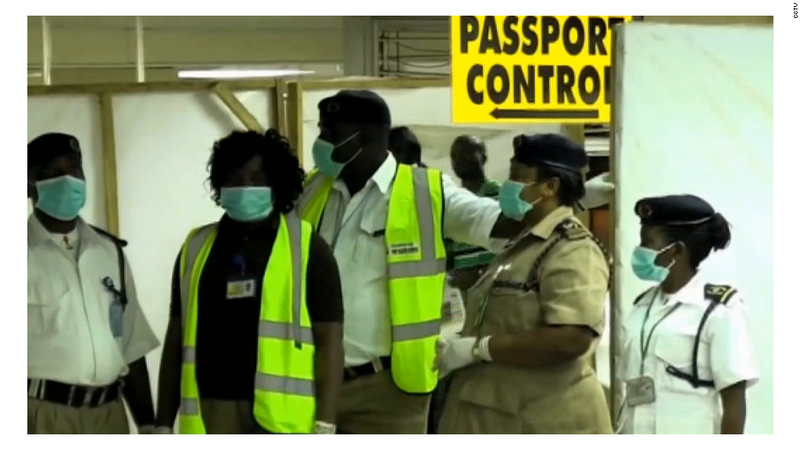 Many European airlines have been canceling flights to African countries that have been hit by the outbreak. But it's not just European airline stocks that are suffering this week. Ebola fears have hit a range of companies. Shares in InterContinental Hotels (IHG) dropped by about 5% as investors fear that the wider travel industry could suffer. And French conglomerate Bollore (BOIVF) -- which has a significant logistics business in Africa -- saw its shares drop by as much as 20% over the past two days before trimming those losses. London Mining, already slammed by a sharp fall in iron ore prices, has been brought to the brink of collapse as it struggles to operate in Sierra Leone. It shares plunged 75% Wednesday, virtually wiping out investors. The Ebola outbreak has claimed nearly 3,500 lives. The countries hardest hit are Guinea, Liberia, and Sierra Leone. 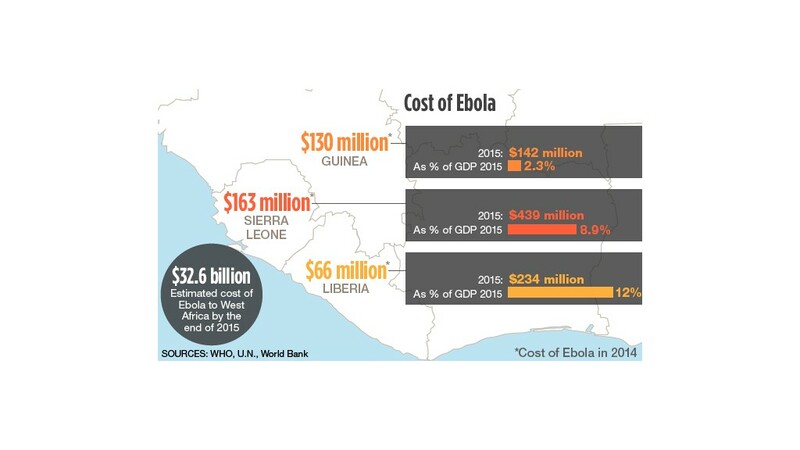 The World Bank predicted Wednesday that if the epidemic were to spread to neighboring countries, the financial impact on West Africa could hit $32.6 billion by the end of next year.